Get an Ace, Alta, and Ionic for super cheap today. Fitness trackers can be a great way to get motivated to stay in shape, and not just moms and dads—kids can get in on the fun too. Right now you can get the whole family hooked up with Fitbit bands: the kid-friendly Ace, minimal Alta, and full-featured Ionic are all on sale for their lowest prices on AmazonRemove non-product link. Parents looking to get their kids off the couch and outside should check out the Ace, on sale today for $80Remove non-product link, 20 percent off its list price of $100. This 8-year-old-and-up-sized Fitbit tracks sleep time, steps, and activity, and features encouraging messages to keep young users motivated. It's also splash- and showerproof, so you won't have to worry about the messiness kids inevitably get caught in. Our own kid reviewer gave the Ace 4.5 stars out of 5, noting the long battery life and kid-friendly functions as reasons to buy. The do-it-all Ionic is down $249 todayRemove non-product link, discounted from a list price of $300. This smartwatch comes with a whole lineup of features, including built-in GPS, phone-free music storage, and all-day fitness tracking, all with a battery life up to five days. We gave it 3.5 stars out of 5 in our review, calling it its attractive design, detailed tracking abilities, and great battery life. The cheapest Fitbit on sale today is the Alta, discounted to $79Remove non-product link from a list price of $130. It doesn't have a big color screen like the Ionic, but this slim band still keeps on top of your sleep and activity, and features a battery life up to five days. 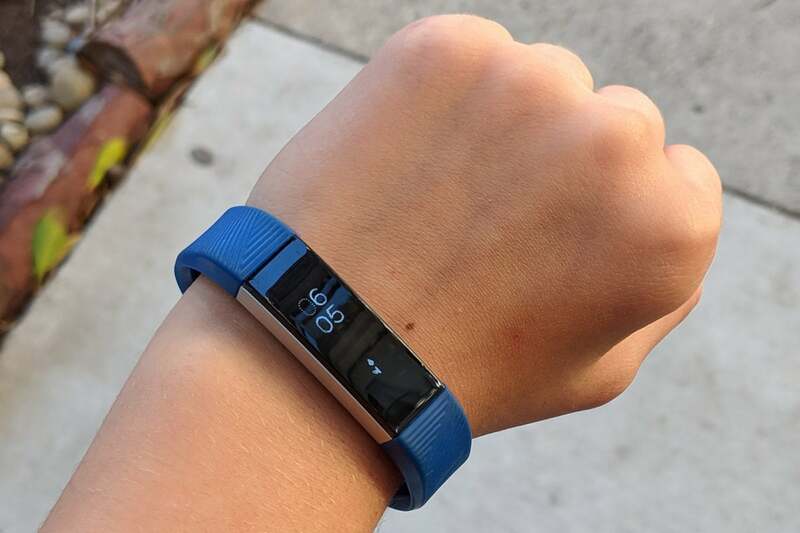 We gave it 4.5 stars out of 5 for its sleek design, automatic tracking, and customizable bands. This story, "Amazon has slashed prices on Fitbit bands for the whole family to all-time lows" was originally published by Macworld.